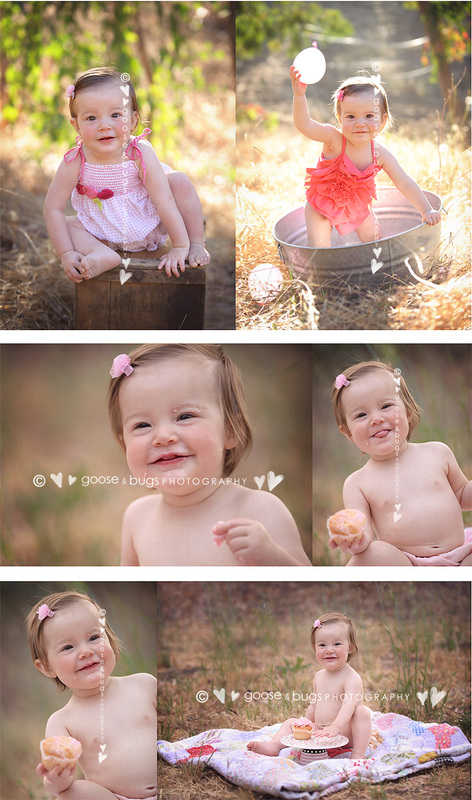 san jose baby photographer • the birthday girl | gooseandbugsphotography newborn baby and child PhotographyCustom children's photography, specializing in newborn portraiture, on location in San Jose, Ca and the surrounding Bay Area. This sweet pea was the first client I took after I having my own third baby. I can’t believe a year has past. My own baby has transitioned from baby to toddler in the past few months and I could see it starting to happen for this little one too. Such an exciting time but so bittersweet as well. This entry was posted in babies and tagged baby photographer, bay area baby photographer, bay area baby pictures, bay area child photographer, bay area photographer, child photogarpher, child photographer, children's portraiture, san jose baby photographer, san jose child photographer, san jose photographer | Bookmark the permalink. What a little cutie! Absolutely gorgeous! Precious! Love the outdoor cake smash! Leandra these are Beautiful! So pretty and so happy, love it.